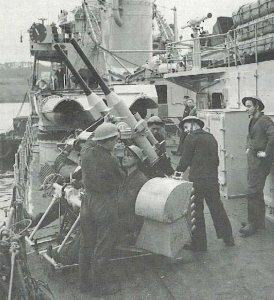 This was the original light antiaircraft gun used in the Richelieu class, pending availability of the 37mm/50 M1935. The latter never got beyond a prototype and the M1933 proved inadequate. It was replaced by 40mm Bofors on Richelieu during her 1943 refit in New York.